Hair Love Club is a one day convention! 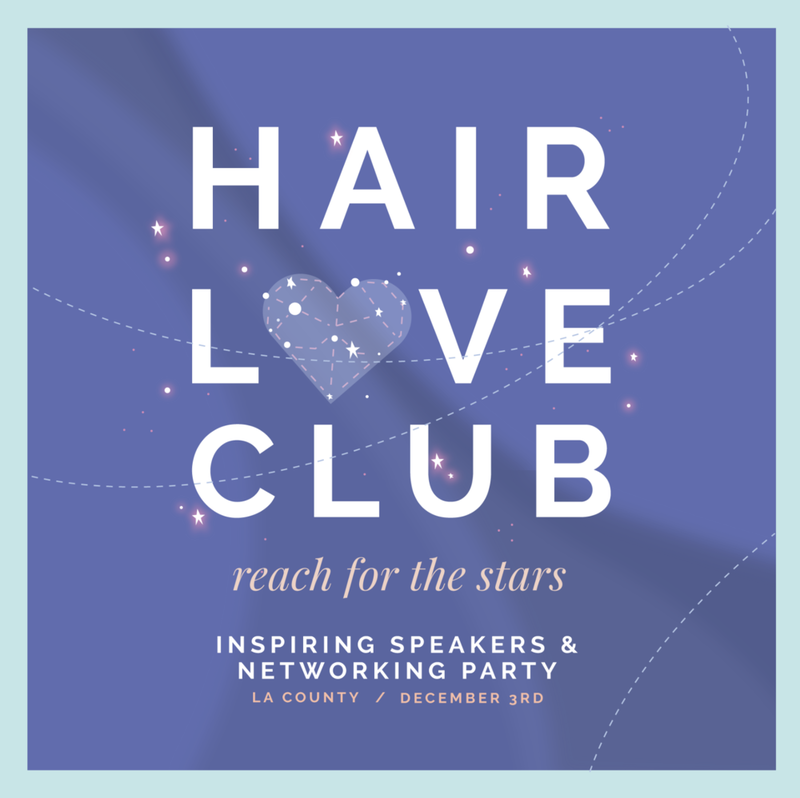 Amazing speakers + panelists + networking party for hairstylists who want to network and connect with each other in an intimate setting. Come and learn from celebrity panelists, speakers, network with other hair boss babes, eat and drink yummy things, incredible swag, IG photo moments to swoon over + get inspired to take on your dreams with a tribe of artists! Artists are craving connection, so come meet, mingle and selfie with your favorite beauty celebrities and brands at a Pinterest-worthy party! It’s a chance to learn from the best in the industry in an intimate setting where you can Reach For the Stars! line of MIND BLOWING hair bosses! amazing business connections + a whole new tribe network! MY FRIEND WANTS TO COME, BUT DOESN'T HAVE A TICKET. ARE TICKETS STILL AVAILABLE? Admission tickets are still available but selling out fast & only available until Wednesday, November 28th. IS IT NORMAL TO COME ALONE? Dress to impress and match our theme, “Reach for the stars". Think glitz and glam! Break for lunch off-site at noon-1:30pm, there will be light snacks and drinks available. You will have an 1.5 to uber, walk or drive on your lunch break. There are plenty of places near by + you will have fun new friends to connect with! Reconvene 1:30-4:30 for more speakers + networking + swag + drinks + photos + live dj and partyyy! We highly suggest Uber or Lyft to avoid parking fees and walking too far -parking is on the street. Of course you can stay where-ever you like! Here are a few close to the event that are great.